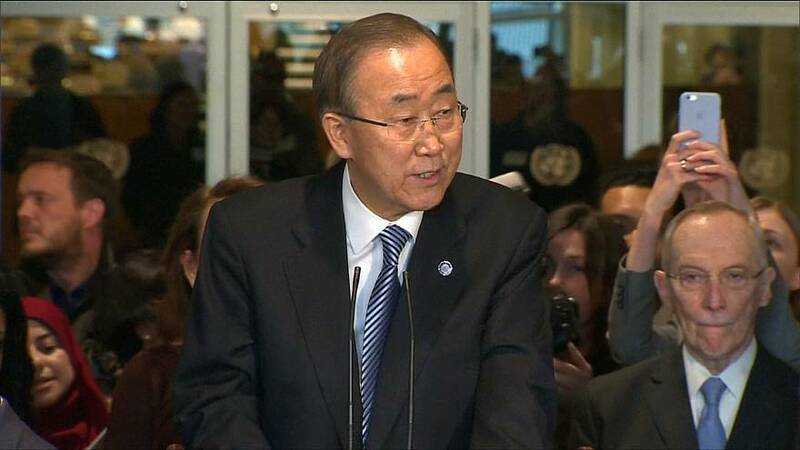 Ban Ki-moon has been saying goodbye to his UN staff as he leaves the top job in the organisation after 10 years. He left the New York headquarters to applause as he moved through the rooms thanking everyone for their efforts. It was a decade of one step forward and two back for the UN, with some successes but also failure to stop the war in Syria and an ongoing scandal about the behaviour of African peacekeepers. “I have been working as a voice for the voiceless people, defender of the defenseless people. But you have to continue to do that. It has been a privilege to serve the world’s people and it has been an honor to serve with you and all our partners including member states, civil society and many more. Now I feel a bit like a Cinderella. Tomorrow at midnight, everything changes,” he said. Ban Ki-moon will be replaced by former Portuguese prime minister and UN High Commissioner for Refugees António Guterres, but he could be heading home for a domestic political career, as some Conservatives want him to stand for the South Korean presidency.